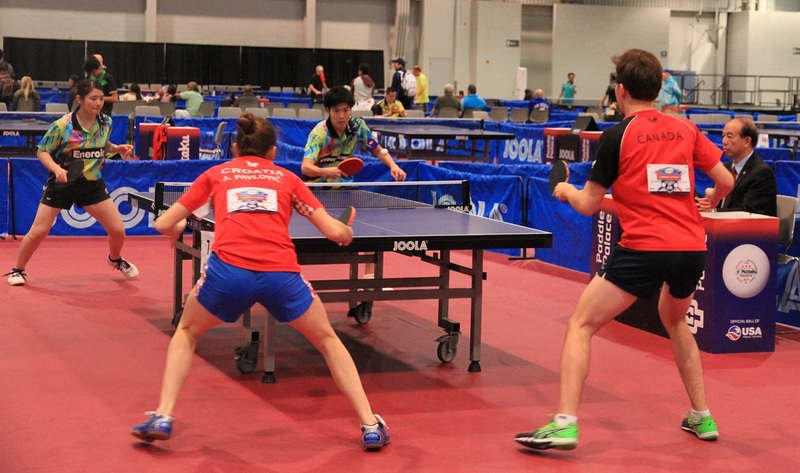 Information to prepare to become a table tennis official can be found on the Officials Page. Bronze: Deja Tait, Mel Johnson School, Wabowden. 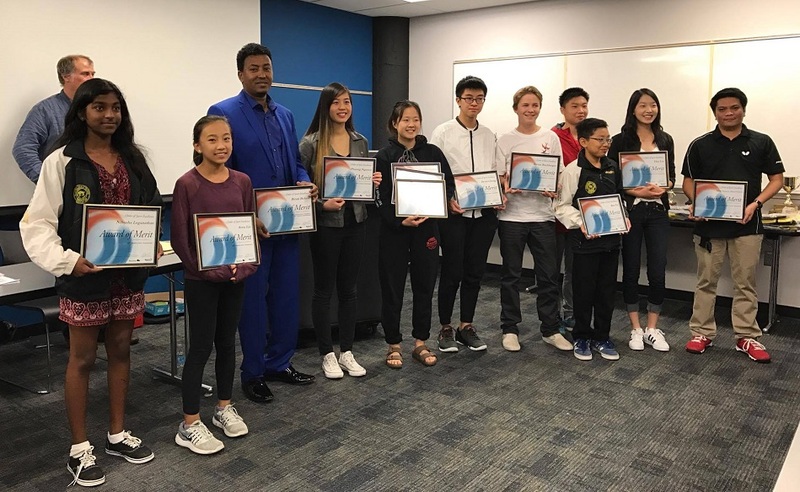 Congratulations to all players and especially to players from Mel Johnson School and to their Coach Mason Campbell who was one of the players in the M.T.T.A.’s 2019 Canada Winter Games Training Program. Kudos as always to Heather Lowe and Brian McMillan from the Frontier School Division for their tireless efforts in allowing these kids to compete in sport year after year. Also, thank you to M.T.T.A. Referee Mr. Gregory Chan for running the event and to his young helper from Nicaragua Mr. Carlos Cuadro…I had told Carlos that we had a big province and that he was going to see a lot of snow, ice, rock and trees on the way up…he had warm clothes, ear plugs and said that he was not disappointed. The Player Invitation for the Crusty Bun Tournament of Champions can be found here. The 2019 Manitoba Open was held this past March 2nd and 3rd at Daniel MacIntyre Collegiate. This event was our last “Open” event of the season and now the top 16 players from the season long Circuit in the “Pro-Open”, “>40 Active 4 Life”, “Junior Boys” and “Junior Girls” events will be invited to compete April 13th in the Tournament of Champions. This year’s event was also held immediately prior to the Canadian Senior Championships. Top Provincial male players Matthew Lehmann, Biruk Bekele and Terry “Tian” Zhang all making the semi-finals along with U of M player Yi Fan Lu. Matthew defeated Biruk in three straight to claim the title and positively prep himself for the Nationals that starts March 7th. Michal Rybak won the >40 event making it now four out of four titles for the 2018-2019 season. Number two, Thadeus Jimenez will no doubt go back to his P.C.C.M. club to rethink his strategy. Jeremy Tran-fresh off his 10th place singles finish at the Canada Winter Games-bested team-mate Gordon Chow in four games to take the Junior Boy’s title and Grace Qi defeated Anna Liu in a very tight 5 game nail bitter to claim the girls crown. RESULTS FROM THE OTHER EVENTS are linked here and to the right. CIRCUIT STANDINGS are also linked to the right. M.T.T.A. 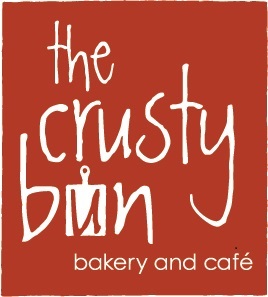 sponsor-Andreas Ingenfeld from THE CRUSTY BUN, will have some exciting prizes for the April event. Doubles partners Jeremy Tran and Carol-Jean Wong narrowly missed out on a bronze medal, losing to Alberta on Thursday morning. Tran also played in a men’s team event bronze medal match earlier in the week. “Disappointing I lost both of them but overall it was still a pretty good tournament,” Tran said. With the tournament now complete, Tran says he enjoyed his experience in Red Deer. Tran, 17, has now played in two Canada Games. He says he wants to stay involved with the sport in some capacity moving forward. Tronco added that the sport is growing in Manitoba, with 60-100 players competing on the Manitoba circuit every year. Like Tran, Tronco enjoyed the Canada Games experience. It was his first time as a head coach at the event. Now that the competition has wrapped up, Tronco is looking forward to getting back to Manitoba. “Yeah, I miss my daughter,” he laughed. CANADA WINTER GAMES 2019 fever has finally come to an end! It's been a week since we got back here in Winnipeg but seems like I still didn't recover with all the excitement and unforgettable experience when I'm coaching everyone during games. I would like to congratulate you all for a job well done! I guess I already said all the things I want to say in my interview at Sport Manitoba/ “TEAM TOBA” press so I would like to take this opportunity to thank you all for a great performance at the Canada Winter Games. Even though we didn't bring home any medals, I’m proud of you all. "It's all about the journey, not the outcome." At the end of the day, the finish line is not the goal. The goal is to have the best start to finish you can possibly have. If you give everything in your game, then you've won, regardless of the matches you came up short in. When you have the best journey, you win! GORDON CHOW - Every match, every game, every moment is a blank canvas. What you do with your opportunity can either be a kindergarten finger painting experience or it can be The Persistence of Memory. Whatever you do with those opportunities defines the way you’ll be remembered as an athlete and as a competitor. YUNYANG DENG - when you are in competition, you have to leave everything on the table of competition. You can’t hold back and hope that you have enough for tomorrow. The best competitors leave the table with no regrets and with nothing left in their tank. That’s the type of effort you have to give every match. JEREMY TRAN - When you have the ability, that is the first part. Next, you have to develop your mental strength and intestinal fortitude. That’s what pushes you to reach the next level. When you have nothing left in the tank, your mind can reach down into the depths and pull out another round you didn’t even know was there. CAROL JEAN WONG - Everyone wants to win. You never run into someone who is trying to lose or even happy to lose. When people say “it’s how you play the game,” they quit a long time before that. Preparing to win is much more difficult than wanting to win. Preparing to win starts in the mind and the heart and then it proceeds into the training room and the practice field. Anna Liu - That's what learning is, after all; not whether we lose the game, but how we lose and how we've changed because of it and what we take away from it that we never had before, to apply to other games. Losing, in a curious way, is winning. Nibusha Loganathan - When you reach that next level, it’s when you believe in yourself. You simply know that you’re better than your opponent. It doesn’t matter how talented they are, you have to face them down and reach inside to give more than you have. When you finally bring that maximum effort, you will unlock your fullest potential. 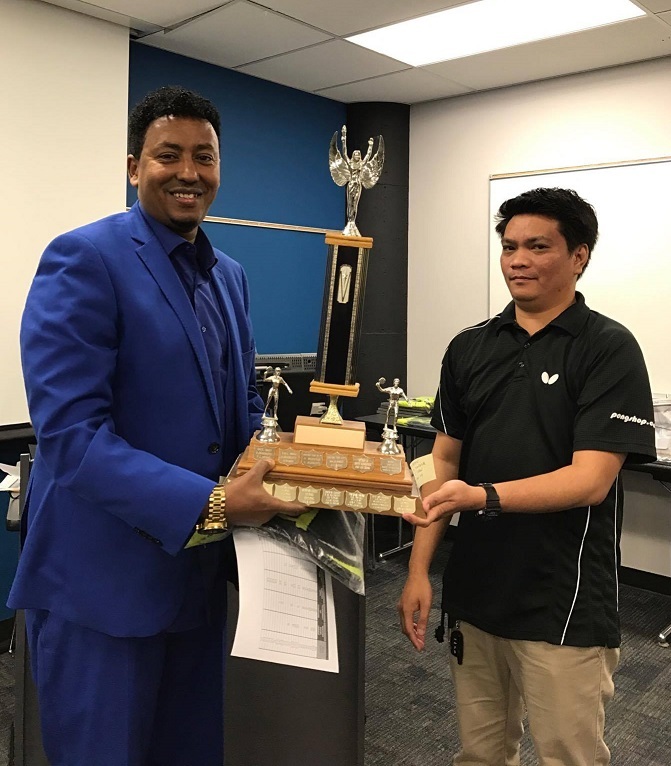 The Philippine Canadian Centre of Manitoba, 737 Keewatin Street, will host a coaching course for all parents, teachers, players, community club workers who want to learn about table tennis. Registration is $50 but it is restricted to the first ten sign-ups. 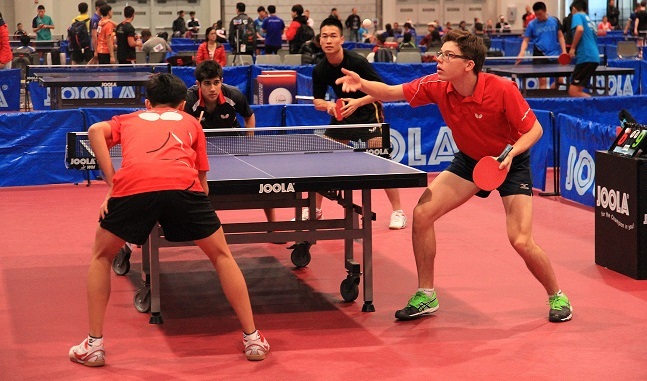 The Course Conductor is Mr. Mario Potvin who is the Coach Development Manager for Table Tennis Canada. On hand to help, will be Mr. Arvin Tronco-of the P.C.C.M. and Head Coach for the Manitoba Table Tennis Association. CLICK HERE FOR THE SIGN-UP FORM. Hope to see you out. This past Wednesday February 6th Ron Edwards, Coach Tronco and visiting player Carlos Cuadra from Nicaragua travelled to the Hylife Centre in La Broquerie, Eastern Sport Region to drop off a third table for their table tennis program and to do a coaching/ skills clinic for the local kids and Club Coordinator Ian Dickey. The club got started last winter when the M.T.T.A. donated 2 tables, nets, paddles and balls with funding we receive from Sport Manitoba under it’s “Sport Initiation” level of programming. Last year the after-school club was a great success with an average of 10-12 players per night. This Wednesday the response was pretty good considering how cold it was and the kids were enthused by the games, drills and robot that we utilized to introduce this group of players to the sport. The club will run after school this year on Wednesday nights from 3:30 to about 5/ 5:30 pm and interested local players can contact Ian Dickey at the Leisure Services office at 204-424-5251 for more details. Matthew Lehmann took the Men’s Singles title this past February 2nd at the Golden Boy Open. 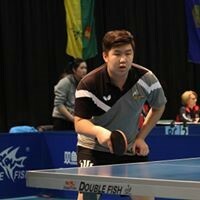 Matthew, a University of Manitoba student and organizer of the local U of M table tennis club, was expecting to face perennial opponents Biruk Bekele, Terry “Tian” Zhang or perhaps top Junior Jeremy Tran. However, this was not to be. Instead, he faced fellow U of M player and his sparring partner Yi Fan Lu in the final. Lu, who had bested Bekele in the semi’s, was no match for his school-mate falling in three straight sets. Lehmann teamed up with young Grace Qi to capture the doubles title over Bekele and U of W player Phuong Nguyen. Jeremy defeated his Canada Winter Games team-mate Yunyang Deng to take the Boy’s Under 18 title. On the Junior Girl’s side, Grace proved too strong for Anna Liu who fell in four games. Michal Rybak continued his season-long dominance over Thadeus Jimenez to take the over 40 years singles title. Although the weather was cold, the turnout was good with players from Morden, Warren, St. Andrews making the trip. Complete results can be found here. 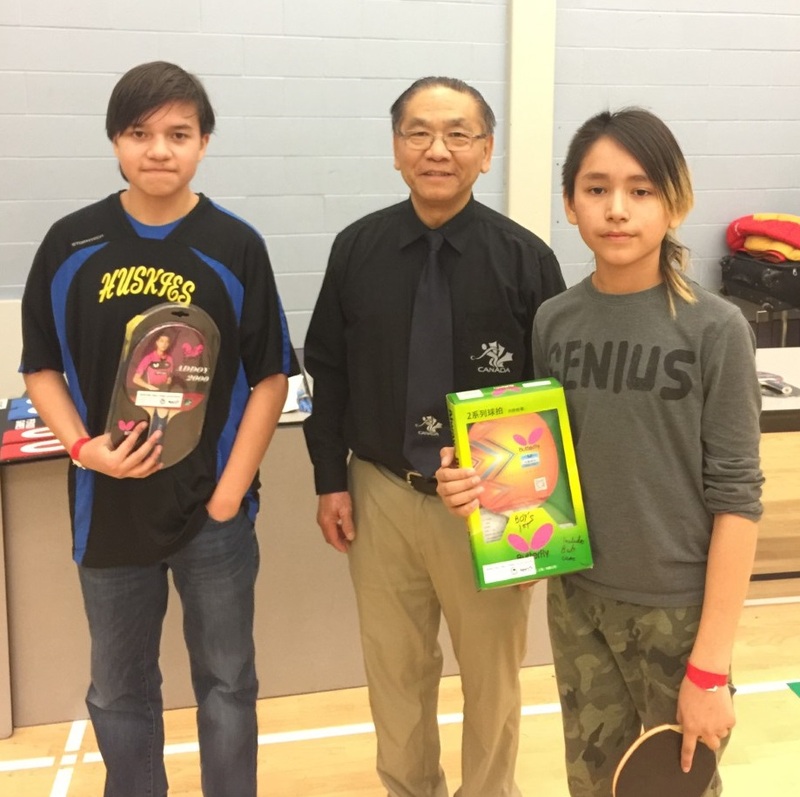 Wanipigow School in Hollow Water played host to the Regional’s this past January 30th to February first. Despite the frigid temperatures, athletes from 7 schools contested table tennis, badminton, archery, volleyball, soccer, trap-setting, cross country skiing and snowshoeing. The table tennis event featured the top 11 boys and 10 girls who had qualified from their schools. Three schools captured two medals each. These were Beren’s River, Little Black River and Falcon Beach. Congratulations to the players from these schools and their coaches Florencio Castillo, Richard Shead and Sven Divay respectively…and again a loud shout-out to Heather Lowe and the Frontier School Division for making this excellent and unique sporting event a reality ever year! 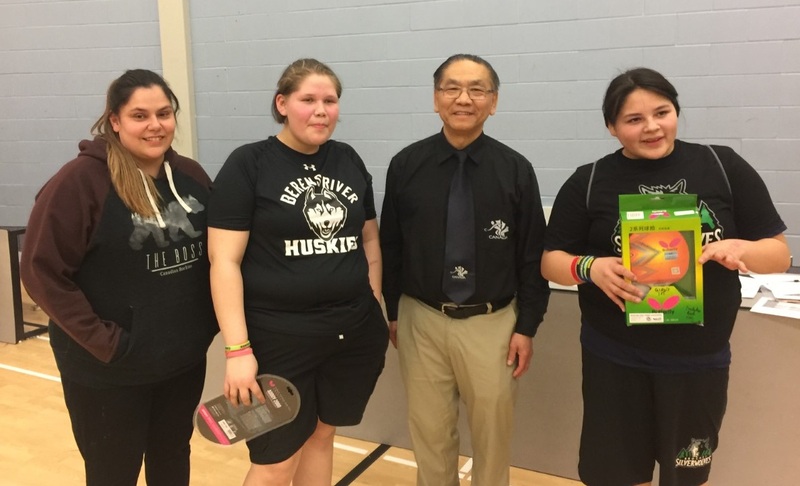 The winners from this Regional event advance to the finals’ March 6-8th in Norway House against the winners from the 5 other regions…and, last but not least, thanks to Danielle Brown and her Phys. Ed. partner Anthony Seymour for the excellent job they did hosting these games. BRONZE: Challen Carlson, Falcon Beach. BRONZE: Kadence Starr, Little Black River. 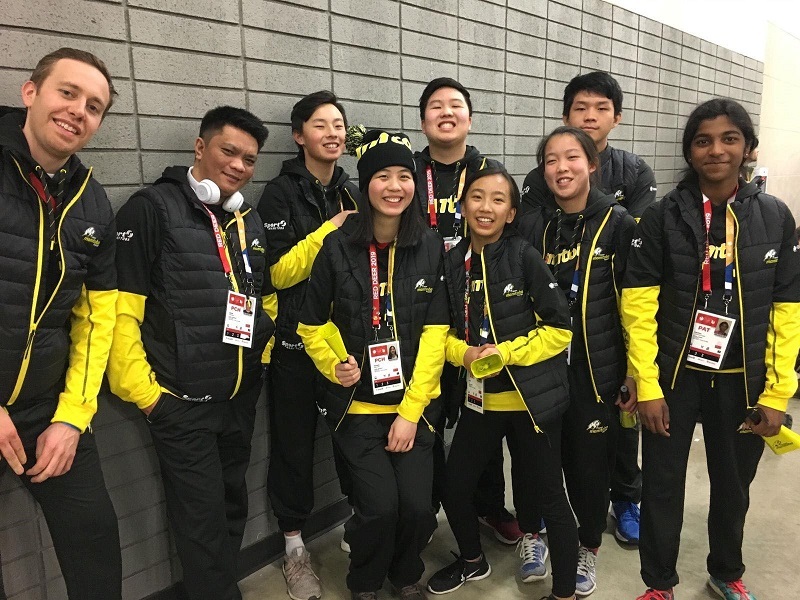 After three eventful tryouts that commenced last March, Manitoba announced its lineup for the 2019 Canada Winter Games: Boy’s Under 18 Team: Yunyang Deng, Jeremy Tran, Gordon Chow and first alternate Devin Chong. Girl’s Under 18 Team: Anna Liu, Carol-Jean Wong, Nibusha Loganathan and first alternate Joyce Liu. Congratulations to these athletes and a thank you to everyone who tried out at the Manitoba Games last winter and this past fall at the Red River and Manitoba Championships. Good luck to all and Head Coach Tronco and Coach/ Manager Nguyen who depart for Red Deer, Alberta on February 14th with play kicking off on the 15th. Go TOBA GO! After three years of missing the “Big Bang” tournament in Quebec, TEAM TOBA finally came back to Laval to play Quebec’s Circuit #4 this past January 25th and 26th. Exams prevented Carol and Yunyang from participating, so we brought dedicated up-and-comers Grace Qi and Jeremy Huang to round out our team. Both these youngsters played well in their single’s matches on the first day and on the second day, they two ended up beating three teams to win first place in their team group match. Anna and Nibusha both played very well in singles matches as well and had super close team matches, almost beating all the teams in their group. The older boys Jeremy and Gordon were in tough but overall played well in both singles and team event. It was great to be back in Quebec surrounded by so many players and parents. We hope to be back soon to face the many, many competitors Quebec has but first it will be off to the Canada Winter Games! The Manitoba Closed Championships and the third and final Canada winter Games tryouts were held on Saturday December 15th at Daniel MacIntyre Collegiate. In the Open Singles final, Biruk Bekele defeated Jeremy Tran in three sets to one; top ranked Matthew Lehmann couldn’t compete due to a University examination. Jeremy’s backhand seemed to be on fire but his forehand deserted him. Biruk looked to be in very fine physical condition and Jeremy had no chance without to win without being able to keep forehand pressure on Biruk. The upsets in the Open were recorded by young Benji Dueck of Morden. In group play he knocked off Yunyang Deng and followed by Nhoel Manalo in the knock-out stages to claim sixth place overall. Not bad considering he was ranked 14th heading into the event. The Boy’s Canada Winter Games tryouts also featured some upsets. In group play, Jeremy Huang bested number four seed Devin Chong to take top spot in his group. This gave him a preferred spot in the quarter finals where he bested Jason Li. Meanwhile, Devin’s loss meant that he would be drawn against a group winner. As luck of the draw would have it, he drew top seed Jeremy Tran. Wow, Devin’s game was spot on and he prevailed over Jeremy in a tight 5 setter but lost to Gordon Chow in the semi’s. So in Boy’s play, top seeded Jeremy Tran finished fifth, Jeremy Huang forth, Devin Chong third, Gordon Chow second and Yunyang Deng was the champion. 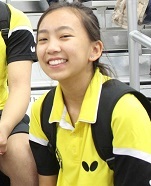 In Girl’s Under 18 play, Grace Qi claimed top spot and Anna Liu took second; they both had upset wins over Carol-Jean Wong. Complete results can be found to the right as well as the Circuit Standings after two events and the combined final standings for the three Canada Winter Games tryouts. 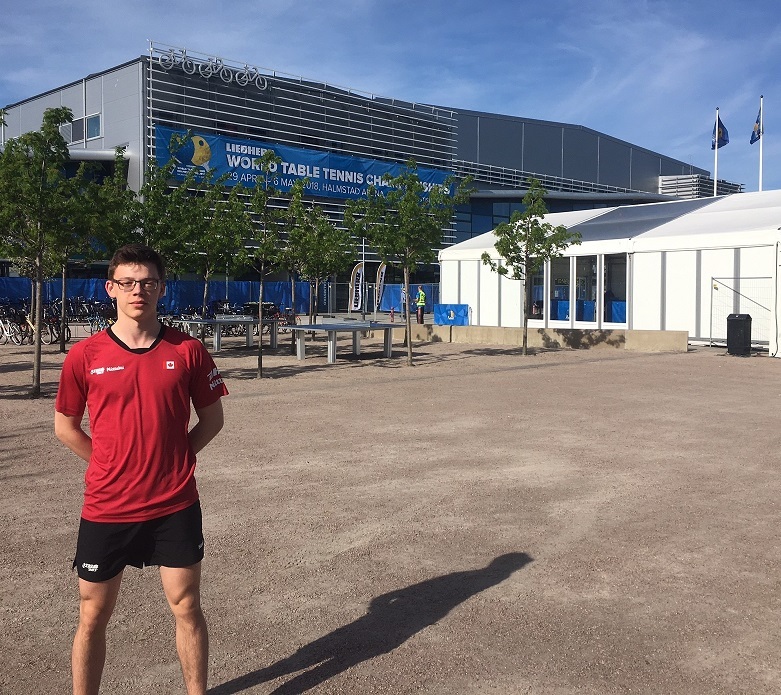 Manitoba’s top-ranked player-Matthew Lehmann-is back in Winnipeg after two years of training and competing abroad in Europe; his experience was capped with his participation in the World Championships last spring in Halmstad, Sweden. 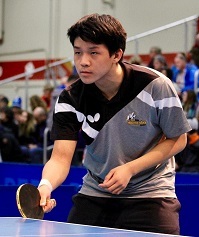 Matthew is now entering his first year of study at the University of Manitoba where he is of course heading up the U of M table tennis club where he hopes to challenge the University of Winnipeg team headed up by his female counterpart Phuong Nguyen…but more on this another time…. Saturday November 17th saw the first Manitoba tournament of the year come down-the Red River Closed and Canada Games Tryout’s #2. Participation was good with 56 players from the Winnipeg, South, East and West sport region’s competing. Matthew was entered in two events-the Open Singles and the Open Doubles. In the Open he defeated Biruk Bekele three straight at 11-9, 11-8, 11-8. He then partnered with Carol-Jean Wong to defeat U of M doubles players Yi Fan Lu and Alejandro Pelaez in four games. Carol for her part easily won the Girl’s C.W.G. Tryout’s #2 besting Anna Liu 3-0. In Boy’s C.W.G. tryout action Jeremy Tran defeated Yunyang Deng 3-1 to virtually assure his spot in February in Red Deer. In the >40 Years/ Active 4 Life Circuit event final, perennial favorite Michal Rybak defeated Thadeus Jimenez of the Filipino Club 3-1. It was good to see so many young up-and-comers…lots and lots of players pushing the older more established ones across all of the events. CIRCUIT STANDINGS, WINNIPEG & DISTRICT SUPER LEAGUE STANDINGS, COMPLETE RED RIVER CLOSED RESULTS and of course CANADA WINTER GAMES TRYOUT STANDINGS can all be found and linked to below right. Keep you rubber fresh, hope to see everyone out and active at our many clubs and programs. NOTICE: ANNUAL MEETING OF MEMBERS & 2017-2018 SEASON AWARDS will be held Wednesday October 24th, 6-10 pm, at Sport Manitoba, 145 Pacific Avenue. Click here for complete details. New Outdoor Tables for Morden! Tim Harsant, Facility Maintenance and Rick Paracholski, By-Law Officer were the first to try the new table at the Access Event Centre. The City of Morden is adding three new outdoor ping pong tables to the line-up of recreation opportunities residents and visitors can enjoy. The three tables will be set up at the Lake Minnewasta Campground, Morden Park, and at the Access Event Centre. Imperia Management and the Clark Elder Memorial Fund sponsored the purchase of the three ping-pong tables. “Thank you to Clare Agnew and City of Morden for providing Imperia Group with the opportunity to fund the outdoor ping pong tables. We, at Imperia, are excited to see the growth of the community, and wish that people of many backgrounds will have hours of fun playing ping pong!” said Volodymyr Shynke from Imperia. “The ping pong tables are a great use of the Clark Elder memorial funds. His sister Brooke Thiessen and I hope that they are a source of community recreational enjoyment for many years to come,” shared Clark’s mom, Cheryl Digby. 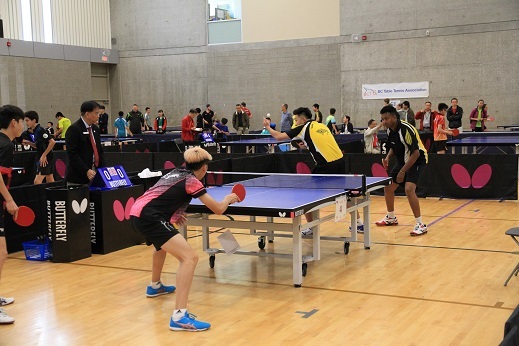 The 2018 Canadian Table Tennis Championships were held July 3-8 at the Fortius Sport and Health Centre in Burnaby, BC. Please read the 'Coach's Corner' for Coach Arvin's report on the event. Congratulations to all Manitoba athletes, coaches and officials! Earlier this summer, the ball stopped bouncing in the year-long Winnipeg & District Super League and the Manitoba Tournament Circuit. 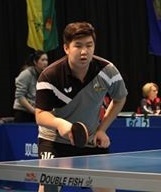 Winnipeg’s young Jeremy Tran -a leading candidate for Manitoba’s 2019 Canada Winter Games Team- won three out of the three titles that he was in the running for. 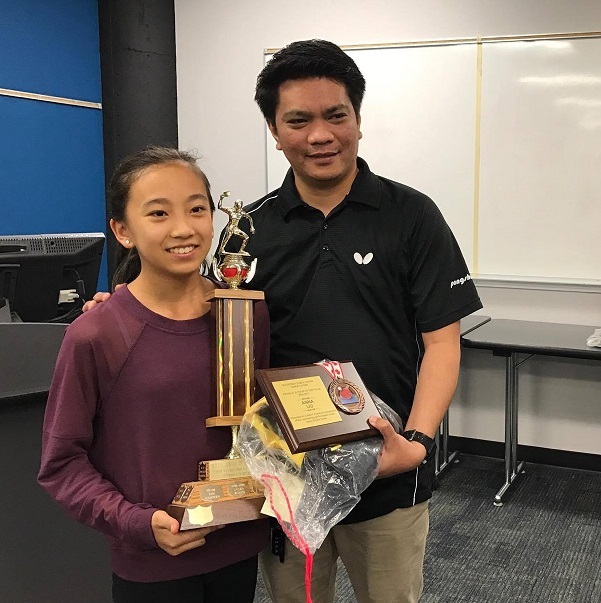 In the Winnipeg Super League, he had a record of 88 wins and only 3 losses to claim victory over Aldwin Dinoso of the Filipino Table Tennis Club who had a record of 57 wins and 26 losses and young up-and-comer Grace Qi in third place with 34 wins and 19 losses. With his win in the Super League -and it’s double weighting for the Manitoba Circuit- Jeremy vaulted past Manitoba table tennis royalty Terry “Tian” Zhang and the cagey veteran Biruk Bekele. Jeremy also won the Youth Circuit crown finshing ahead of top female player Phuong Nguyen and Junior team-mate Yunyang Deng. All in all, young Jeremy took home $500 of the total pot of $2,500! Well done! This is the last week to register for the MTTA Summer Junior Camp. The Beginner Camp is open to young players who are new or relatively new to the sport. The Intermediate Camp is for more experienced players - please contact Matthew Lehmann if you are unsure which camp to register for. Winnipeg Table Tennis Training Centre Now Open! ...well, it has arrived. 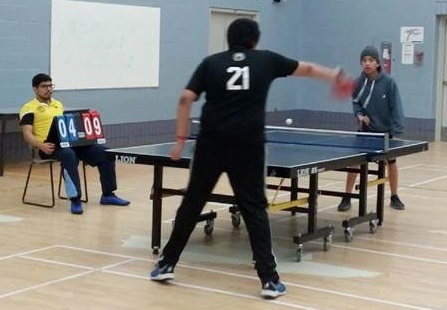 THE WINNIPEG TABLE TENNIS TRAINING CENTRE opened their doors earlier this month at 3525 Pembina Highway as you enter St. Norbert on the right-hand side. The club is affiliated with the M.T.T.A. and offers semi-private and private lessons for players of all ages and ability levels. Players receive instruction and lessons from 4 x Canadian Cadet Champion Terry “Tian” Zhang, Shaun “Xiang” Guo and Poyz Riankasemsakul. All these coaches are N.C.C.P. and R.I.S. 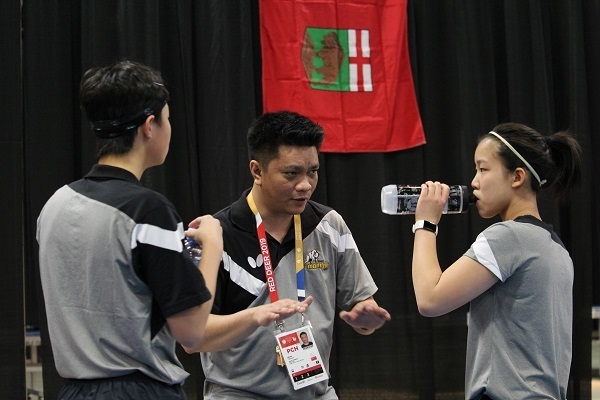 certified (National Coaching Certification/ Respect In Sport) and they are in constant contact with Provincial team Head Coach Arvin Tronco to ensure that players get the best programming possible. To get MORE INFORMATION PHONE 204-890-5139/ EMAIL; Winnipegtabletennis@gmail.com or click on their log/ link on the bottom left side under Partners. This past May long weekend, the Manitoba team went to compete in the annual Saskatchewan Teams Tournament called “SITCO.”. It was a great experience for many of the younger players (whom for many was the first time going on a trip with the team), and a great opportunity for the older players, and our beloved Coach Arvin to show off their skills. We all played our hardest and we won 2 out of the 3 divisions only losing to Saskatchewan in the finals of the B Division. The higher-level players played some impressive matches, making amazing shots, and had us all awed. Of course, the younger players also won many heated matches. They played against some talented young Edmonton players and in the end prevailed. Myself and my team members Jason Li, and Julian Liu made many upsets against some higher rated players too and surprised them by taking many games where they thought they had us. We also had some good teaching moments as Coach Arvin made some of the higher-level opponents look like Childs play. At the end the results were more than decent. In the C Division we had our girls’ team “Demigodz” consisting of Anna Liu, Grace Qi, and Joyce Liu coming in at second place only losing to another one of our teams, the “Titanz” which was made up of Benji Dueck, Hongjun Feng, and Kieran Buchburger. My team which was called “We Smash Hard” came in at 2nd place in the B division, with myself (Jeremy Huang), Jason Li, and Julian Liu putting up a good fight against the Saskatchewan Team for the finals. Finally, we have team “Battle Pass” consisting of Jeremy Tran, Gordon Chow, and Yunyang Deng coming in at 1st place in Division A pulling of a extremely close 5-4 win against some of the top players from Alberta or Saskatchewan?... ( I don’t know which province Jeremy and the others played against for the finals)…but I do know they won $750 first place prize…should they pay their Coach?...maybe buy him a drink at least? We all enjoyed the trip and had some fun too. We went out for some amazing food every day and tried some Asian Cuisine as well. Shout-outs to Coach Arvin for coaching us when we needed it the most, I would also like to thank Song, Trevor and Norman for driving the long trip here and back. I would like to thank the MTTA and everyone who organized the trip for giving us such a great opportunity, and learning experience. From April 29 to May 6, I had the honour of competing at the 2018 World Team Table Tennis Championships in Halmstad, Sweden. I was one of five Canadian Men sent to be a part of the team representing Canada at the tournament. Canada also sent a team of 5 women. The Table Tennis Team World Championships take place every two years. This edition had 87 different countries participating and 595 players competing! Fans from around Sweden and the world flocked to Halmstad to see the event live. The small city of Halmstad was completely transformed for the event, with signs and posters on every street and in every shop window in the city centre. There are 3 divisions at the World Championships. Canada competed in Division 2. It was a tough division for a very young team. We will be working hard to come back stronger in two years! I'm back to training now, and am looking forward to representing Manitoba at the Canadian Championships in British Columbia in July! Welcome to Andi Ingenfeld and "The Crusty Bun"
Long-time M.T.T.A. President Darek Mikita was recently doubly honored. First-off, he represented Canada as our Blue Badge Umpire on duty at the Commonwealth Games held on Australia’s Gold Coast and he was then nominated for Sport Manitoba’s Official of the Year Award. Here is a picture of Darek with his compatriots in Australia; Darek is immediate top-left off of the “G” in Gold Coast. Well done Darek. Next up - Darek, Gregory Chan and Greg Dzioba - will be working at the Canadian Junior Open in Vancouver and Greg Dzioba is off to the Australian Open in July. Congrats to Darek and the rest of our Blue Badge International Level Umpires. On April 18-20th the town of Leaf Rapids hosted the Games. Table tennis was contested along with Snowshoeing, Cross Country Skiing, Badminton, Archery, Basketball and Trap Setting. Thanks again to Heather Lowe and Brian McMillan from the Frontier School Division who host this amazing event. Also, Mason Campbell from Wabowden, I am truly sorry that you and your team-mates couldn’t compete…I know you would have given your cousin Terrence a run for his money! On Saturday April 14th the top 16 Pros’, Juniors, Cadets and >40 Years stars were invited to compete in the $500 TOURNAMENT OF CHAMPIONS. Invited players accumulated points in the Manitoba Closed, Red River, Golden Boy and Manitoba Open events. This prestigious event is our season “finale” and our last event before we select teams for the Canadian Championships and Sitco Team events. …speaking of Jeremy, for the third Circuit tournament in a row he came up short against arch-rival Yunyang “The Hammer” Deng losing easily at -3, -8, 6 and -7. Jeremy, however, did best Yunyang 2x at the recent Canada Winter Games tryouts so the fierce rivalry continues. The biggest surprise occurred in the >40 Years Active 4 Life event. Perennial powerhouse and 2016 Canadian Champion in Men’s >50 – Michal Rybak – failed to advance to the final. He was bounced in the semi’s by P.C.C.M. player Nhoel Manalo who lost in the final to club-mate Thadeus Jimenez. 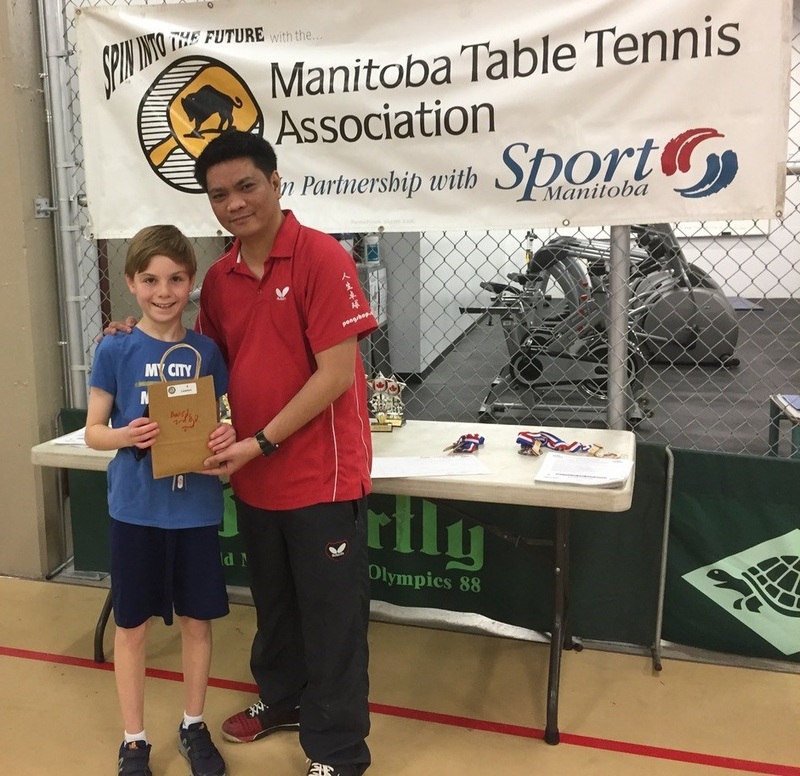 In the Cadet Singles event, young Benji Dueck from the Morden Table Tennis Club took home the title besting Ben Vu in a close 5 games. 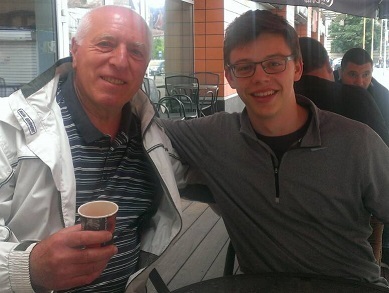 Benji’s coolness under pressure reaffirmed that his recent Canada Winter Games tryout results (4th overall) was not a fluke and the result moved him into a tie for second in the Cadet Circuit standings. The Winnipeg & District Super League counts for double weighting in the Circuit and so it is the last chance for players to earn points towards the final season ending cash payouts…young Jeremy Tran is apparently already smacking his lips together in anticipation of a big payday….COMPLETE RESULTS ARE ATTACHED LOWER RIGHT-SIDE. Next up for players is the Sitco Team event in Saskatchewan on the May long weekend followed by the Canadian Championships in July. GRADE 7 TOURNAMENT: 1ST= Lucas Prezniak/ 2nd=Corbin Sutton/ 3rd=Gurshan Ubhi. GRADE 6 TOURNAMENT: 1ST=Jordan Johnston/ 2nd=Easton Kutcher/ 3rd=Marina Hagos. Joseph H. Kerr School in Snow Lake played host to the 44th Frontier Games. This year’s event attracted 386 athletes, coaches and chaperones from 30 different schools. 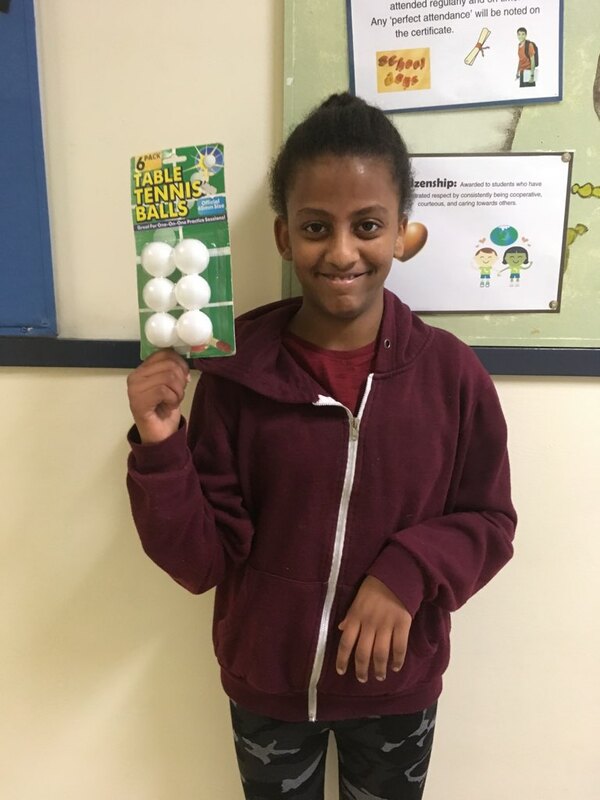 The table tennis event was contested by the top 12 boys and 12 girls who qualified through their Regional playoffs; top 2 boys and top 2 girls from each of six regions. This represented athletes from 11 different schools from Norman, Eastman, Parkland and Westman Sport Regions. Again, the level of play was improved over the previous season with all of the best 3 out of 5 matches well contested. The only negative was that the number of “legal” paddles used was at about an all time low…many, many players with straight wood paddles or those with the top rubber sheets peeled off. Bronze: Chantara Ettawakapow, Frontier Mosakahiken School, Moose Lake. Bronze: Jamie Anderson, Helen Betty Osborne Ininiw Education Resource Centre, Norway House. Thanks to former Provincial Team player Ted Smook for helping run the event and for all of his expertise and patience for playing countless points against countless challengers. Also thanks to Brian MacMillan and Heather Lowe for having the M.T.T.A. up to help run this outstanding Manitoba sporting event. 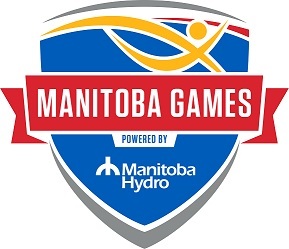 The details for the 2018 Mantioba Winter Games (schedule, results, volunteering opportunties) can be found here. See CBC article about the 'little' sport doing big things at a Toronto retirement home - here. Arvin Tronco, MTTA Head Coach will host a one day work-shop for all players, parents, teachers, parks & rec. workers who want to learn how to teach beginners the sport of table tennis. Click here for more information and registration form. Golden Boy Open - Tran Bounces Bekele! The Golden Boy Open was held this past February 10th at Daniel MacIntyre Collegiate lower gymnasium. Players from Winnipeg, Interlake and Central sport regions contested the medals. In the Pro-Open Singles, 30 players competed. Matches from the group stage through to the finals were hard fought. 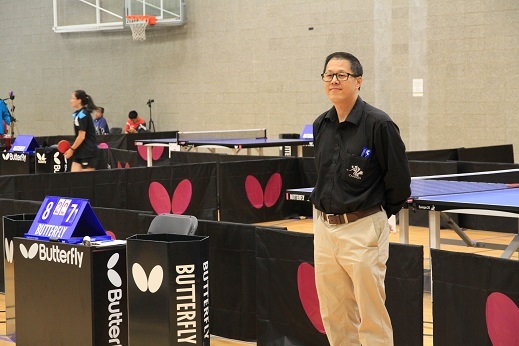 2019 Canada Winter Games hopeful Jeremy Tran had an up and down tournament. After easily losing the Youth final to team-mate Yunyang Deng in straight sets (-5, -6, -7) he played the match of his life to best 2016-2017 Circuit Champion Biruk Bekele in the semi-finals in seven games. The champ was knocked out and Jeremy advanced to face the always dangerous Terry “Tian” Zhang in the final. No contest, an exhausted Jeremy lost to Terry in 4 straight games. Newcomer Richard Elendu continued to impress by making it three out of three for reaching the finals in the Active 4 Life > 40 years event. This time however, 2016 > 5o Years Canadian Champion Michal Rybak was absent and Richard was up against Thadeus Jimemez. Thadeus prevailed in a close four setter. 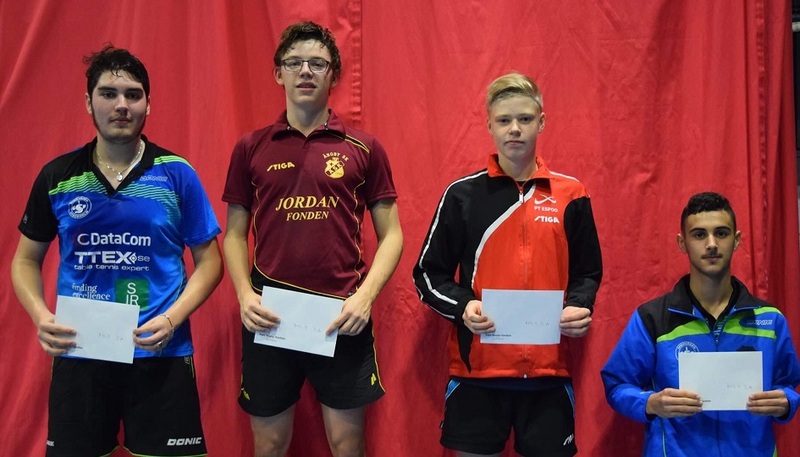 The youngsters from Morden continue to improve with Benji Dueck taking second in the Cadet A Division losing to Jason Li and his teammate Joel Geake took bronze in the Cadet second division. Top female players Phuong Nguyen lost her ¼ final match in the Pro-Open and Anna Liu took 2nd spot in the Cadet B Division. The next open tournament is the Manitoba Open on March 17th & 18th. Complete results and Circuit Standings are located to the right. This past January 20-21 the MTTA sent our top 3 junior boys to participate in the CANADA CUP held at the Fortious Sports and Health Centre in Burnaby, British Columbia. It was a great experience for Jeremy Tran, Yunyang Deng and Gordon Chow to play in such a competitive tournament where they had a chance to measure their skills against some of Canada’s best players. Jeremy reached the round of 16 in the U-2150 rating event and the round of 32 in the MEN’S OPEN; 51 players entered this event. Yunyang and Gordon both advanced to the round of 32 in the U-1750 rating event and were knocked out of their groups in Men’s Singles play. Yunyang got an opportunity to play against Canadian #14 Meng Gu from British Columbia and did a great job of not giving up any easy points… he made some incredible shots with his “cold blooded backhand drive” and had Meng shaking his head wondering where these backhands were coming from. Gordon showed his “never back down” mentality against some good players and never got intimidated regardless of whom he was playing against. Jeremy played at a high level losing his round of 32 Men’s match 13-11 in the fifth game to a player from Alberta. In general, it was a perfect event to gain experience on how to play in a high-level environment. It was also an eye opening for our junior boys to motivate themselves to grind hard in practice because there are a lot of good players they know about and maybe some others from other provinces that they don’t; they must be prepared to play their best against all-comers. This year the US Open was held in Las Vegas December 17-22 (a great time to escape Manitoba's winter!). MTTA officials were at the US Open in full force. Like athletes, International Umpires need to be at the top of their game, and that experience comes from officiating at top level events. Darek Mikita, Greg Dzioba, Royle Derbitsky, and Gregory Chan were in Las Vegas to officiate and to be evaluated which is required to achieve and maintain their Blue Badge and White Badge designations. With athletes from BC, Alberta, Ontario, Quebec and Manitoba, Canada was well represented. Manitoba athlete, Matthew Lehmann, focused on doubles at the US Open. In Mens Doubles, teamed with Edison Huang (BC), the MB/BC team reached the quarter finals. 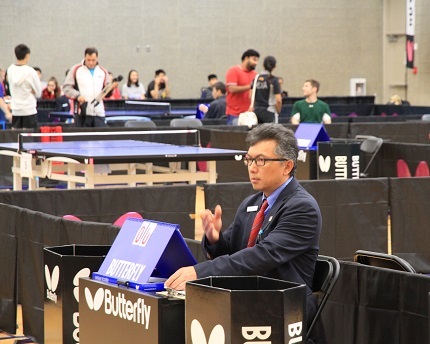 The MB/BC team was up 2-0 against eventual finalists Kanak Jha and Bob Chen of the US. The fourth game was a 15-13 loss, giving Jha and Chen a run for their money, but Lehmann and Huang ended with a 4-2 loss. In mixed doubles, Lehmann was teamed with Andrea Pavlovic (Croatia). Lehmann and Pavlovic had the unfortunate luck of meeting eventual US Open mixed doubles champions Kohei Morimoto and Yuki Shoji (Japan), losing 4-1 in the round of 32. [Of note, Morimoto was a finalist in Men's Singles, and Shoji won Women's Singles.]. From a spectator standpoint, the US Open is always a fun tournament with so many interesting people, easy access from the hotels to the venue, and a chance to watch high-level table tennis. On Saturday November 18th, young Terry Zhang was up 3-0 in the best of seven final against wily veteran Biruk Bekele when somehow the unthinkable happened and he dropped 4 straight games to lose in the Pro-Open final 3-4…”really?...people were thinking…”Terry, up three straight and he lost?” What was going on? Well, on Saturday December 16th, the Manitoba Closed Pro-Open final again featured Terry against Biruk. 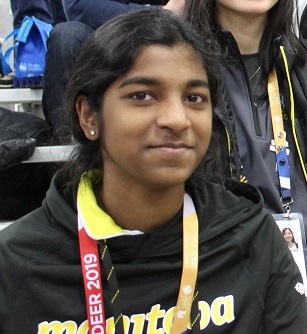 In the semi’s, Terry made it past former #7 Woman’s player in Canada Rongge Zhang with a convincing 4-1 win; however, Rongge was far from top form…but that’s a story for another day. Biruk meanwhile, dropped up-and-comer Jeremy Tran in 4 straight sets; young Jeremy still doesn’t have the strength nor power nor guile to best the big boys. On to the final…an exciting seven-setter 11-5, 4-11, 11-7, 11-6, 9-11, 7-11, 11-7. Well done Terry to outlast the always dangerous Biruk who seems to be playing better and better…if only Coach Tronco could get him into the gym more often so that when the Nationals rolls around he could compete for the Canadian title? In the Youth final, Jeremy bested Phuong Nguyen in 4 sets after Phuong bested each of Harkaran Singh-Sohal and Yunyang Deng in 5 sets in the quarters and semi’s respectively. The Active 4 Life final was a repeat of the Red River final with Michal Rybak besting newcomer Richard Elendu in straight sets. Richard promises to figure in the Pro-Open mix in the future once he gets his physical conditioning in order. 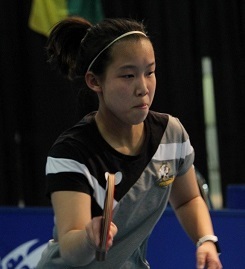 Canada Winter Games female hopefull Anna Liu bested a fast improving Jason Li 3-0 to capture her first Cadet Singles crown. Sweet revenge and more dollars flowed into Terry’s pocket as he and Gordon Chow bested Biruk and Michal Rybak in the open doubles final. Complete results are attached below right. Next up for Manitoba is the US Open Championships where Matthew Lehmann is competing for Manitoba and Canada and we have four International Umpires there as well…Darek Mikita, Gregory Chan, Greg Dzioba and Royle Derbitsky. Biruk Bekele was the Pro-Open Singles Circuit Champion for the 2016-2017 season. However, some argued that he was “King by Default” in that “Crown Prince” Terry “Tian” Zhang only played in 3 out of 5 events last year and he won all three finals over the King. Saturday, at the Red River Open, hosted in the bowels of Daniel MacIntyre Collegiate, it looked like the King was about to drop his crown. Having lost the first three games in the best of seven by scores of -4,-7 and -5, King Bekele somehow won the next four games in a row by scores or 10, 5, 10 and 8 leaving the large crowd of onlookers speechless. Terry was up 3-0, how could he lose?...it is table tennis, things happen in the blink of an eye! Well done to both players for an excellent match played. In the Active 4 Life, >40 Years, Michal Rybak was in top form defeating this time not Alex Mendoza (who had to work) but rather newcomer Richard Elendu who made it to his first finals. Jeremy Tran defeated Phuong Nguyen to capture the Youth <21 Years crown and Sparsh Agrawal defeated Jeremy Huang to capture the Cadet title. Well done to all players and I hope to see everyone out at the Manitoba Closed on Saturday December 16th. Complete results can be found to the right. The Rady JCC is recruiting Jewish athletes to be a part of the Team Winnipeg delegation joining over 2,000 participants at the JCCA Maccabi Games August 5-10, 2018 in Orange County, CA.! More details can be found here. 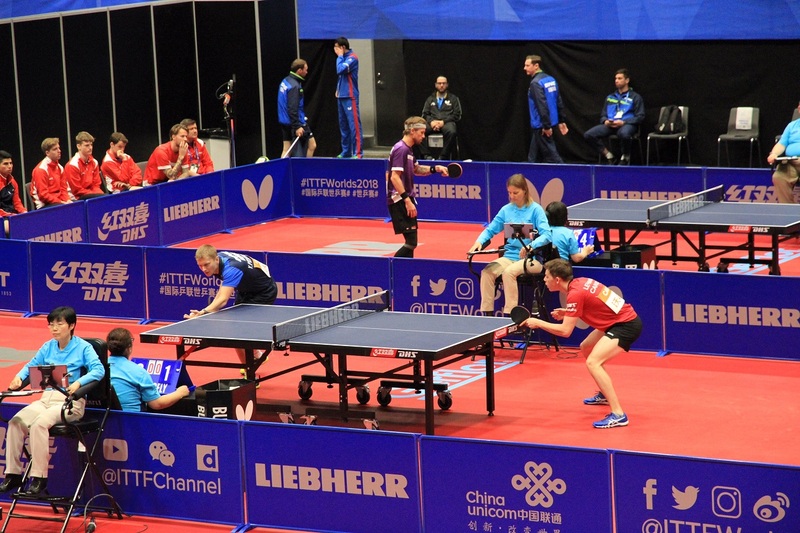 At the Angby International Table Tennis tournament in Stockholm (November 3-5), Matthew Lehmann had the home court advantage with his Angby club cheering him to victory in the Mens Category 1 Singles. 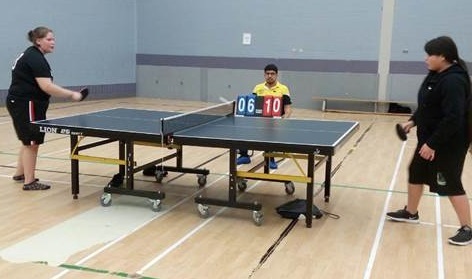 In other play, Matthew took the eventual winner of the U21 Men's singles to the fifth game before bowing out in the second round of Men's U21. Matthew will continue to train in Sweden this month and compete in the Stockholm Closed, as well as the ITTF Swedish Open, before returning to Bulgaria for team match play. Cheers in store for M.T.T.A. Head Coach Arvin Tronco and his wife Gerardine on the birth of their baby daughter Marizza! Our Annual General Meeting was a big hit on Thursday, Oct. 5th. With such a big turnout, it was to my surprise that everyone came on time, which turned out to be an exciting and organized AGM. Ronnie Edwards, our Executive Director, was a little upset that so many people came and ate most of the food before he could get his hands on some himself. Everyone knows how the AGM goes, we do the awards ceremony and then discuss what’s in store for the up-coming season. There were a lot of familiar faces we haven’t seen in a while, so it took some time for everyone to get settled in and focused on the meeting. Starting with the awards presentations, can I just say what we were all thinking? Wow did Biruk Bekele look handsome! He really rocked that blue suit. Congrats on that bronze medal at Nationals Biruk! Biruk and 16 other athletes - 17 including the coach - received the Order of Excellence award. A few people were unable to make it, but they still deserved it nonetheless. Speaking of someone who was unable to make it, Jeremy Tran had one of the biggest nights of his life! Winning not one, not two, but five awards! That’s got to be some kind of record? One of the first awards he won was first place in the League standings, with Alex Mendoza, Czar Caguoia, Naomi Tran and myself behind him. Biruk, showing off that flashy blue suit, came up to receive the Pro-Open Circuit Singles Overall Champion award with Jeremy Tran taking in second place. It’s great to see that the “Active 4 Life” (>40 Years) athletes are still working hard and competing with the same amount, or with maybe even more intensity, than us younger athletes and that Alex Mendoza finally rose to the top and beat out Michal Rybak for the overall Over 40 Category. Youth Singles Overall Champion was Jeremy Tran and Yunyang Deng in second place…with Jeremy winning another award, his sister Naomi was getting a little dizzy going back and forth in his place. Congrats to Ben Vu for being the Cadet Singles Overall Champion and Sparsh Agrawal for coming in for a close second. Now, on to the bigger awards. One of our Filipino members shocked everyone and gained 694 points this season winning the Most Improved Player award - congratulations to Irwin Raymundo. Junior Male of the Year went to, you guessed it, Jeremy Tran. Junior Female of the Year went to a small but energetic young athlete who has always been dedicated to table tennis and was shocked when she won the award, Ms. Anna Liu. Volunteer of the Year went to a very deserving coach who helped Coach Arvin and I out a lot last season, Mr. Meng Yu. For the Mike Partyka award, I’d like to give thanks to the Executive and to everyone else for the endless support and for honoring me with this award. The Liam Barclay Junior Sportsmanship Award went to two individuals who were always in the gym and who were eager to learn and play…these two athletes absolutely deserved this award! 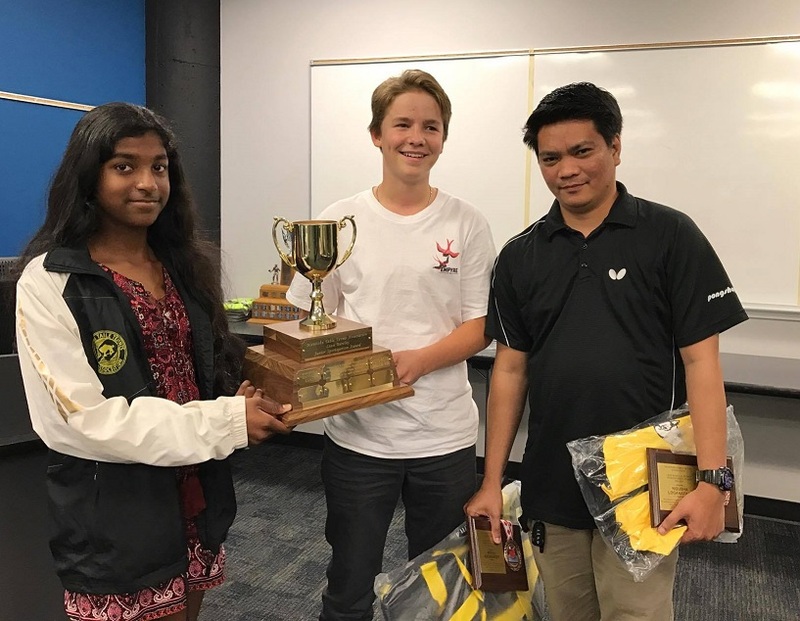 Congrats to Kieran Buchberger and Nibusha Loganathan. 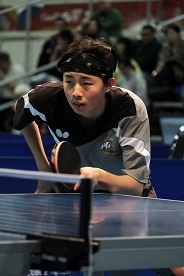 Another young athlete who loves the sport and was very dedicated to the league was Hongjun Feng. Congrats for winning the “Ironman” award for the most matches played in the District League last season. Everyone should follow Hongjun’s example and come out to league every Friday night! Last, but not least, Jeremy Tran winning the last award there was to win…the “Player of the Year Award”. Jeremy may have been a little distant from the gym at the start of the season but for the second half of the season he was one of the most dedicated athletes. It was a bummer you had to miss the AGM, but it was clear that your hard work throughout the season paid off. Congrats again and keep up the hard work! Congratulations once again to all the winners of last year’s season. You guys and gals should be proud of your accomplishments. For the people who didn’t receive an award, this should give you motivation to get in the gym more and work even harder this upcoming season. Let’s all have a goal to become more present in the gym and more focused when we’re at practice and to keep a consistent level of intensity throughout the entire season. The last portion of the meeting was dedicated to the annual update of the Executive and Committee teams. Somehow, my mom unintentionally got me onto the Executive while knocking herself out. There were a couple changes to the Executive members this year. Royle Derbitsky went from Secretary to Secretary/Treasurer. Don Kokan went from being the Athlete Representative to one of the Member’s at Large. While my mom wanted the Athlete Representative position, I was nominated in her place because only an athlete could have the position, sorry mom! The last change to the Executive was adding a second Member at Large position that went to long-time member Gregory Chan. Darek Mikita, Greg Dzioba and Osama Zaki retained their senior positions. A complete listing can be found to the top-right side of www.mtta.ca. Overall, this was one of the more successful AGMs we have had in a long time and it was a terrific way to start off the 2017-2018 season. Hope to see everyone out at the gyms and tournaments! "Lefty-Lehmann" Reaches Podium in Europe for 1st Time! 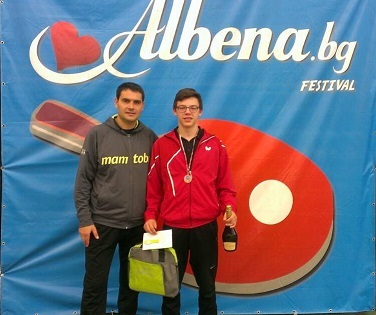 This past October 14-15 weekend, Matthew Lehmann from Winnipeg competed in the Albena Open on the shores of the Black Sea in Bulgaria. Matthew had former M.T.T.A. Head Coach Milcho Uzunov in his corner as he reached the semi-finals in the Men’s Open event against world ranked players from Bulgaria, Russia, Ukraine and Romania. 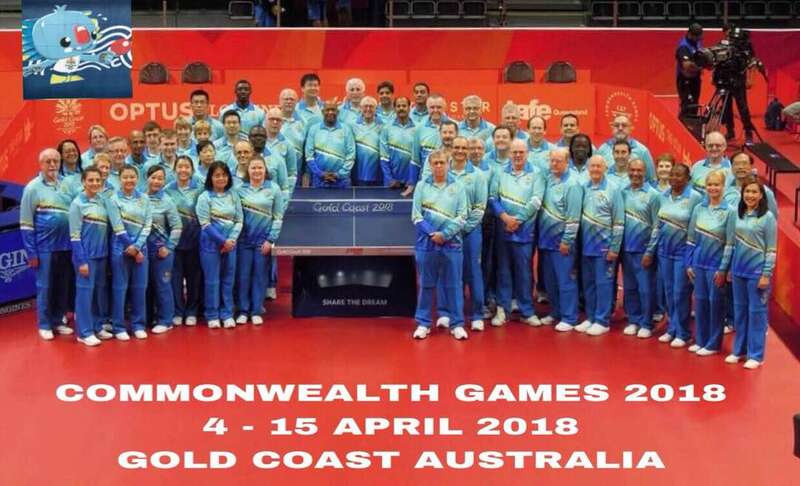 Coach Uzunov said Matthew’s attack was very effective as he won all three of his qualifying group matches and then three more elimination-round matches until bowing out in the semi’s. Matthew now returns to his Austrian training base, as he prepares for matches with his Swedish club in Stockholm. However, he will return to Bulgaria later in the fall to compete with Milcho for the “Nedelino” Team in the Bulgarian Super League. They will both be eagerly watched by former M.T.T.A. Head Coach George Damianov. Both Milcho and George miss Canada and their former players and pass on their regards to Terry, William, Freddy, Victor, Carol-Jean, Victoria, Gordon, Euwe, Jacie, Naomi, Jeremy, Phuong, Tina, Bryanna, Kaitlyn, Shaelynn…Milcho says they apologize to those they missed as they had such a good time with the lot of you and he was saddened that so many had quit our great sport. Hello all Manitoba Table Tennis enthusiasts. Well, school is back in class so that means that table tennis is not far behind! We are still awaiting word from several school divisions on some facilities…but, in general, the gyms, time-slots and programming will be about the same as last year. I hope that most clubs will open the week of September 18th and our first tournament is scheduled for November 18th. There will be some minor fee increases this year due to both some funding cuts from the Provincial government to sport as well as some school divisions increasing user fees. MORE INFORMATION WILL BE POSTED IN THE COMING WEEKS AS PROGRAMMING FINALIZED. THURSDAY OCTOBER 5TH, 6 PM, SPORT FOR LIFE CENTRE, 145 PACIFIC AVENUE: ANNUAL GENERAL MEETING AND AWARDS PRESENTATION FOR 2016-2017 SEASON…HOPE TO SEE YOU OUT! Contribute to the sport you love, write an article and get it published right here!!! 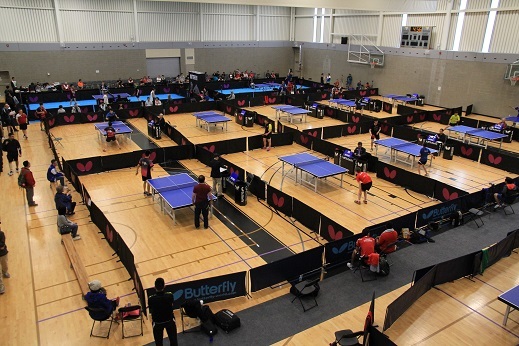 We would love to get stories and articles from the people that are involved in the sport of Table Tennis. If you are a player, coach, parent, umpire, referee, spectator, or involved in the sport in any capacity, why not tell us your story, share your experiences, provide some tips and knowledge. If you have something to share, we would love to hear from you. Submit your story, articles, ideas to Ron Edwards. 2013-2014 news and articles can be found here. Old news and articles can be found here.